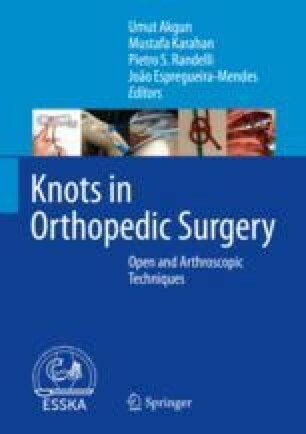 Arthroscopic knot tying occasionally requires a series of elemental instruments, both disposable and reusable, along with preferred suture material. It is imperative that the surgeon assures the said components are obtainable and at hand prior to conducting any appropriate procedure depending upon arthroscopic knot tying. There are important tools for arthroscopic knot tying such as sutures, cannulas, suture retrievers and knot pushers .